At its first meeting held at the IMC Secretariat in Paris, the IMC Executive Board decided to elect Sheila Woodward (USA) and Ye Xiaogang (China) as Vice-Presidents. They will assist IMC president Emily Achieng’ Akuno and IMC Executive Vice-President Alfons Karabuda in strengthening the IMC global network and improving its actions for the Five Music Rights. The aim in developing a European Agenda for Music (EAM) is to bring together the diverse voices of the European music sector to determine a common vision and strategy for the future. The European Music Council has worked intensely to consult and hear from as many voices as possible, across Europe and across the music sector - and continues to do so. In the European music sector, we have many different viewpoints and interests, but we share one common goal: a thriving music sector that continues to play an essential role in the European landscape. In a bid to enlarge the scope of its actions and open new opportunities for its members, the International Music Council has initiated a partnership with the International Theatre Institute (ITI). 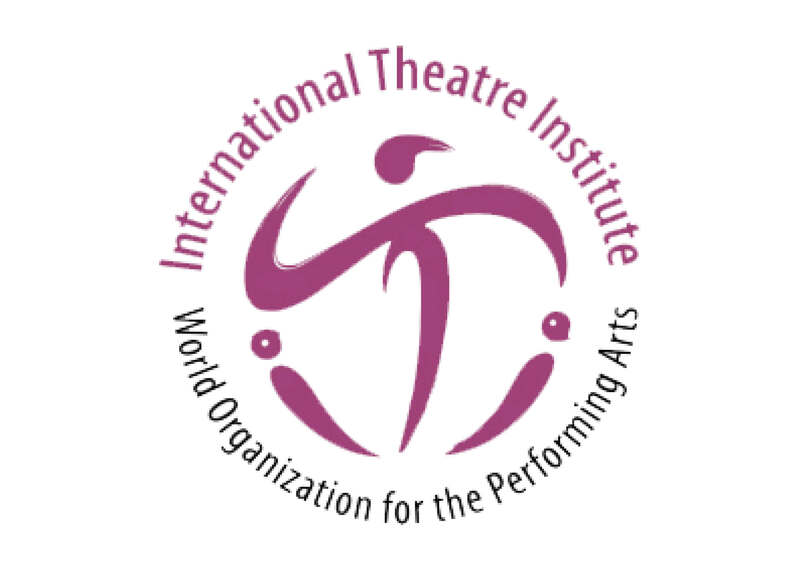 The International Theatre Institute ITI, the world’s largest performing arts organization founded in 1948 by theatre and dance experts and UNESCO, strives for a society in which the performing arts and their artists thrive and flourish. ITI advances UNESCO’s goals of mutual understanding and peace and advocates the protection and promotion of cultural expression, regardless of age, gender, creed, or ethnicity. It works to these ends internationally and nationally in the areas of performing arts education, international exchange and collaboration, and youth training. The partnership is built around the core principles of the two organizations and will strengthen the impact of their advocacy and operations on both local and global arenas. The intellectual outputs of the MARS (Music and Resilience Support) project, are now freely avaiable online. The Needs Analysis represents the obligatory first step in the development of a specialized training which aims to respond as closely as possible to the needs of the context it will serve. The design of the training course depends a clear concept of exactly what a community musician or music therapist needs to know and be able to do, in order to plan and implement psycho-social interventions within the target communities to the best possible effect. The MARS specialization profile, developed on the basis of the Needs Analysis Report, provides information about the required skills of the the community musician/music therapist relative to the specific work context of deprived and marginalized communities. The work profile is described in terms of the emergent objectives, strategies and tactics of psychosocial music interventions aimed at protecting these communities against defined risk factors. Specific knowledge and skills supporting theoretical, methodological and practical competences are listed. The MARS Staff Training Guidelines is a supporting document for the project partnership's teaching staff. The Guidelines promote the project ethos, aim to establish a unified pedagogic approach, and provide a platform for the MARS staff to assimilate current research and theory, together with contextual needs and resources in psychosocial music intervention. These and other relevant documents are free to download. Moreover, the website has become a platfom for sharing about psyco-social music intervention and related fields. It hosts a matching service for both professional and organisations, a list of links and resources and the complete overview of the first MARS course with examples, videos, modules and assignments. The Convention on the Protection and Promotion of the Diversity of Cultural Expressions (CDCE) adopted by UNESCO in 2005 is now a key international instrument in the global governance of culture. In December 2016, the CDCE’s Committee adopted Operational Guidelines in order to align the CDCE with the development of digital technologies. In this respect, this article deals with the struggles between actors in the process for adopting new governance norms for the diversity of cultural expressions in the digital context and it seeks to understand how the interests and influence of the actors involved intersect in consensual and conflicting ways. Intellectual Property Organization, explicitly underscored the fair remuneration of creators as a main condition for the promotion of diversity of cultural expressions in the digital environment. Listen, Vote, Win is an unique intiative that allows you to listen to the works presented at the last International Rostrum of Composers. These works are the most fresh compositions in the contemporary music world, they come from all over the world and you will not find them elsewhere! 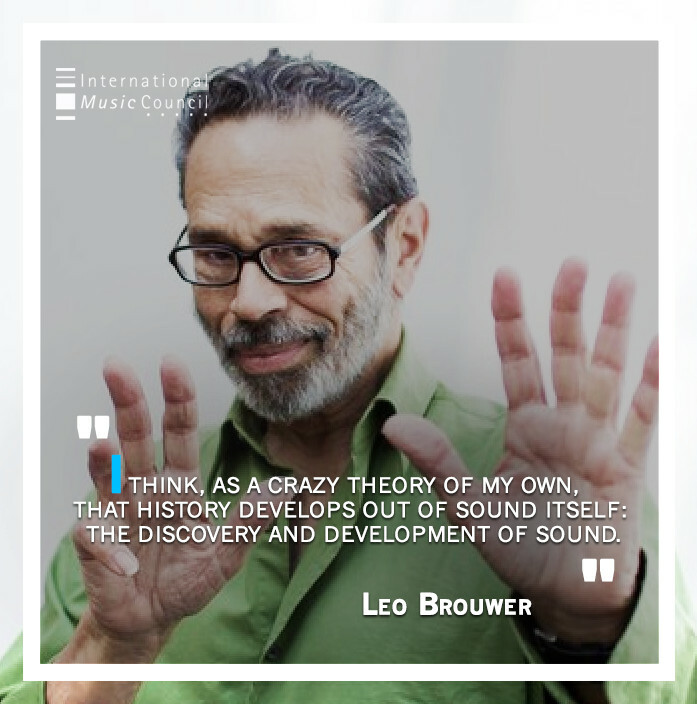 The prestigious Cuban guitarist, composer and orchestra conductor Leo Brouwer will be honored on September 12 with the title of Honorary Professor of the Argentine University Tres de Febrero where he will offer an open talk. According to the university, on that occasion, Brouwer will receive the title and he will deliver a conference to the students, teachers and the general public, promoted by the Cycle of Arts of the Degree in Native, Classical and Popular Music of America. The artist is considered a living legend of classical music, his works for guitar are a subject of study for several generations of instrumentalists throughout the world, said the institution in a press release.